Merry Parks has a mission. The final request of her friend Charlotte Smithson, dead of childbirth fever, was that Merry deliver Charlotte’s infant daughter into the hands of the child’s father. Friendship and honor demand that Merry honor Charlotte’s request even if doing so requires Merry to visit Wrotham House, the London home of the man she jilted. Merry may have spent the past five years working with her scholar father and out of touch with the London social scene, but she has not forgotten Alex. Alexander Ponsonby, Viscount Wrotham, has recently returned to England, summoned home from Paris by his paternal grandmother. But the man who returns is less trusting than the one who left a year earlier. A reunion with the mother he believed had abandoned him for a lover and her second family has given him a different view of her and of his grandmother, who contributed to his mother’s flight. His new relationship with his mother has set Alex thinking about the other woman who abandoned him, wondering about her reasons, and hoping for a second chance with her. But even that hope does not prepare him for Merry to arrive on his doorstep with a baby in her arms and a question concerning the whereabouts of his cousin William on her lips. The probability of William’s having left London to spend the holiday at the family seat in Kent provides Alex with just the excuse he needs to maintain contact with Merry. He persuades her to bring baby Lottie and her entourage and accompany him to Wrotham Keep. Even the weather cooperates; heavy snow forces Merry to remain in Kent for Christmas, to her secret relief. Being in the place where they once celebrated their betrothal and where Merry left Alex with a ring and a note that explained nothing makes it easy to remember all they once shared. Fate may have given them the time they need to claim their second chance, but they must overcome formidable opposition to reach their HEA. Manda Collins excels at the novella form, packing her stories with enough character development and action to maintain reader interest but restricting the focus sufficiently to give the sense of a finished work. In this case, the reunited lovers trope helps because Merry and Alex have a history on which to build. With This Christmas Ring is a small jewel of a Christmas tale with seasonal themes of forgiveness, restoration, and love, familial and romantic. I loved it, and if you are a reader who appreciates a historical Christmas novella that has both sweetness and sizzle, I predict you will too. The novella is part of the Lords of Anarchy series, but it can easily be read as a standalone. Driven by guilt, grief, and a different dream, Clayton East left his family ranch to join the Navy as soon as he was old enough. Years later, only his mother's desperate call brings the former Navy SEAL home to a father in medical distress and a ranch on the verge of bankruptcy thanks to cattle rustlers and an embezzling accountant. Clayton is ready to have the book thrown at the only rustler who was caught but meeting the boy's sister and guardian, Abby Harper, then the sixteen-year-old himself has him taking a different path, accepting Brice's offer to work off his debt at the ranch after school and weekends. His hope is to convince Brice to tell him the identities of the rustlers while at the same time giving him the chance to atone for his part in the thefts. The more time Clayton spends with the Harper family, the more entwined he becomes with all of them. Especially Abby. Abby would do anything for her brothers, including putting her dreams on hold since their mother abandoned them when she was only eighteen. Since then, Abby has devoted herself to them, doing her best to keep them clothed, fed, loved, and on the right path. When Brice's actions bring them to the East's ranch, Abby is grateful for her brother's second chance but has no idea of the impact it will have on her entire family. She is not prepared for the kindness shown them by Clayton and his parents, the heartfelt welcome into their family Christmas celebrations, nor for the spark between Clayton and herself that threatens to ignite into an inferno. As she and Clayton grow closer, the possibility of a forever love and a loving family for all of them looms on the horizon, but only if they can uncover the identities of the cattle rustlers and catch them before someone gets hurt...or worse. Donna Grant brings readers a feel-good story about family, love, sacrifice, and forgiveness. I fell in love with these characters and wholeheartedly embraced their journey. The story is well-paced, with plenty of action, a bit of suspense, heartwarming romance, a strong family dynamic, and a well-deserved happy ending. The mystery of the cattle rustlers is solved but there's a significant loose thread pertaining to the embezzlement of the ranch's funds which makes me wonder if this book will be part of a series. If it is, I'll happily return for any future stories. Still reeling from her husband’s infidelity and their pending divorce, Sydney Ragsdale and her daughter RayAnne move from Atlanta to Hopewell, NC, where Sydney has inherited her grandparents’ house. RayAnne is ten, but hurt and anger over the changes in her life have given her a head start on a stormy adolescence. Volunteering at the Book Bea, a book store that still possesses the magic it held when Sydney visited it as a child, fosters needed mother-daughter bonding. It also restores Sydney’s self-confidence, helps her and RayAnne become part of the community, and instills the Christmas spirit in them. Single father Kevin MacAlea, history teacher and baseball coach at the local high school, has an abundance of the Christmas spirit. He has found joy in being the local Santa for thirteen years. If only his twelve-year-old son, Seth, who associates the holiday with the mother who left him and his father on Christmas Eve, could share in his joy. Even amid decorations galore, Santa’s Village, and a caroling tradition that includes hot chocolate, disappointments and misunderstandings abound. But if these four people believe in themselves and each other, they may find that Hopewell holds all their hearts desire for a season--and forever. Nancy Naigle returns readers to the charming small town where last year’s Christmas Joy was set for another sweet holiday romance. If you like your Christmas reading treats steamy and heavy on the spice, you will want to give this one a miss. But if your preference is for heartwarming with a dash of seasonal schmaltz or if Hallmark’s Christmas movies are one of your feel-good delights, you will likely enjoy this one as much as I did. 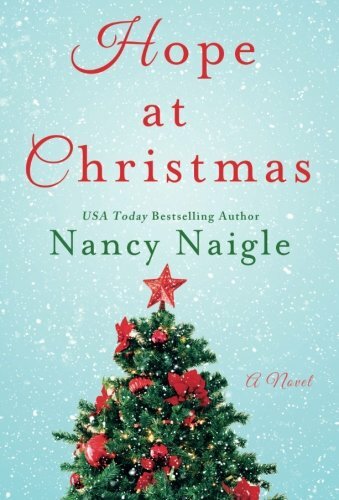 Have you read any Christmas themed romances yet? Are there any in particular you're looking forward to? Do you have any titles to recommend? I have read every one of these books and several others as well. As to these three, I enjoyed each of them. But the one that blew me away was Hope At Christmas. For me, it was in the truest sense a Christmas story. This is one time of year when I absolutely fall into wanting to read Christmas themed stories....helps me get into the mood. Recently read the contemporary A Chance this Christmas by Joanne Rock. It featured a second-chance couple...I enjoyed it! I have not read any yet. Pretty soon I will start reading at least one every couple of weeks. Love them this time of the year. I've read Hope at Christmas (got an ARC thru Goodreads) and enjoyed it very much. I also enjoyed Debbie Macomber's 'Merry and Bright'. I've read Nancy's book already but not the rest. Will have to add them to list from the other post. I love Christmas romances. I have Holiday Spice by Samantha Chase, The Rancher's Christmas Song by RaeAnne Thayne, Just A Little Christmas by Janet Dailey, and would like to have Debbie Macomber's Merry and Bright. 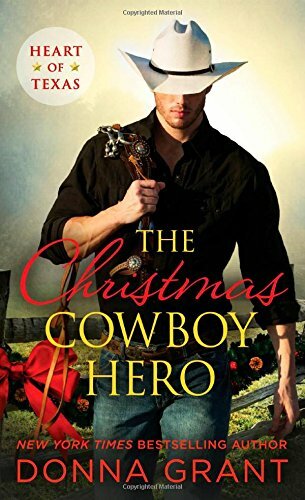 I am currently reading CHRISTMAS IN A COWBOYS ARMS, an anthology with stories by Leigh Greenwood, Rosanne Bittner, Linda Broday, Margaret Brownley, Anna Schmidt, and Amy Sandas. I have finished the first 2 stories and enjoyed them. I am looking forward to reading the rest. Not sure which other new Christmas books I will be picking up. I love Christmas Romances. I have several to read but always wait to after Halloween to start them. My favorite are the anthologies. Have started Catherine Anderson's The Christmas Room. Looking to read a lot: Sugar Plum Way - Debbie Mason, Holiday Spice by Samantha Chase and the Naigle book you mentioned to name a few. I haven't read any Christmas themed books yet. However, I'm looking forward to reading Mandy Collins book. I meant Manda. Silly auto-correct.